Once again we go back to Akron Ohio! This time we are going to sit in the Pumpkin patch and wait for the Great Pumpkin to bring us our treats! Here he comes! Wait! The Great Pumpkin is green??! And.....he looks a little crazy! Maybe it's the full moon? What is that he is carrying? That's not the treats I expected! No...it's much better! 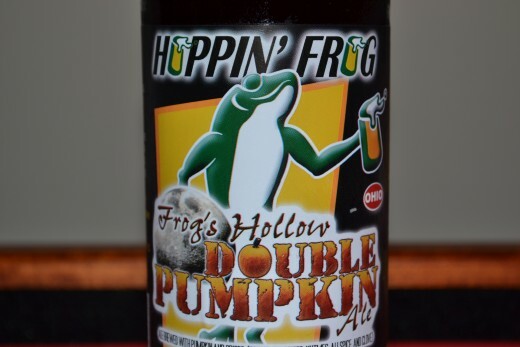 It's a 22 ounce bottle of Hoppin' Frog Frog's Hollow Double Pumpkin Ale! Excellent! Thanks frog! You must be magical...how else would you have known exactly what I wanted! Maybe I'm the crazy one? It's March and I've been sitting in this stupid pumpkin patch since October! Oh well, at least I got a free beer! 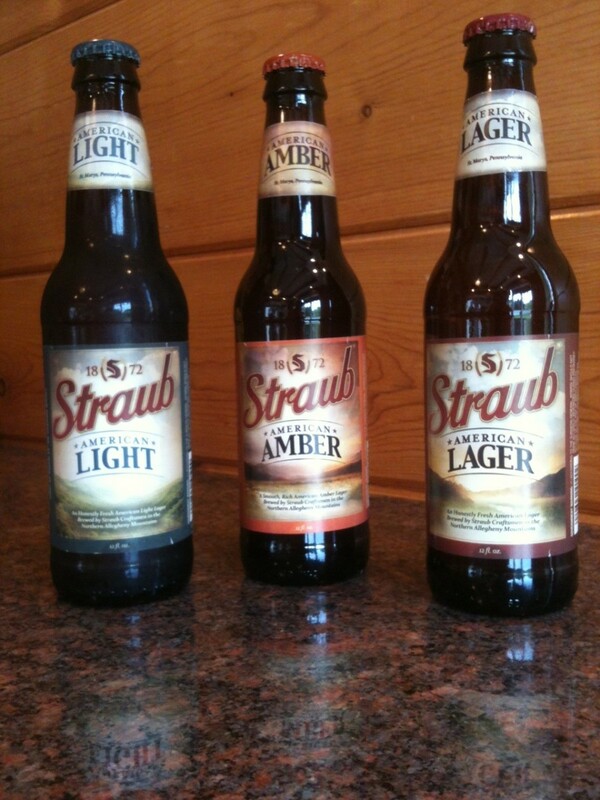 Made from only the finest ingredients to create a superb, flavorful beer of the highest quality. 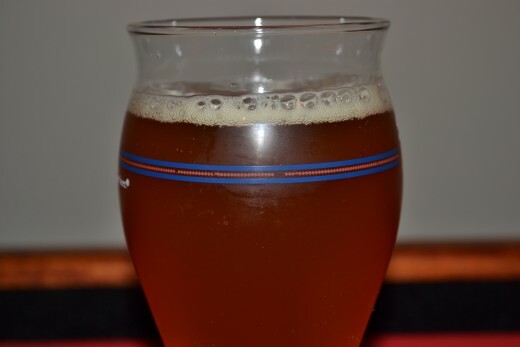 This ale is brewed with pumpkin and spices (cinnamon, ginger, nutmeg, allspice, and clove). 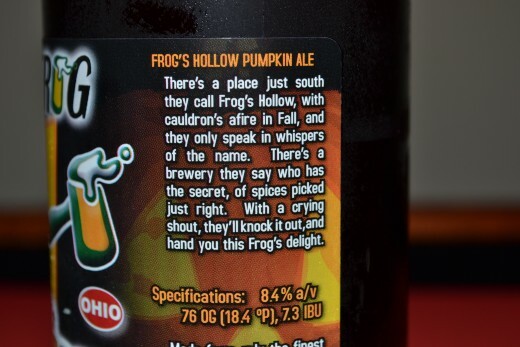 Once again when questioned about the specific ingredients used to brew this beer the frog gets a little scary. I won't press the issue! The initial pop O' the top is....spicy! Pouring from a couple inches above my trusty glass, I get a 1-2 finger head that dissipates quickly. The color is a deep orangish golden. Kind of reminds of a fall maple leaf. The Frog doesn't appear to appreciate my glass? Leave me alone Frog! 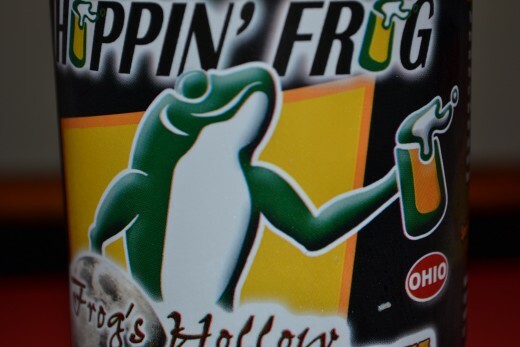 When you spend a million dollars on a frogulator glass come talk to me! 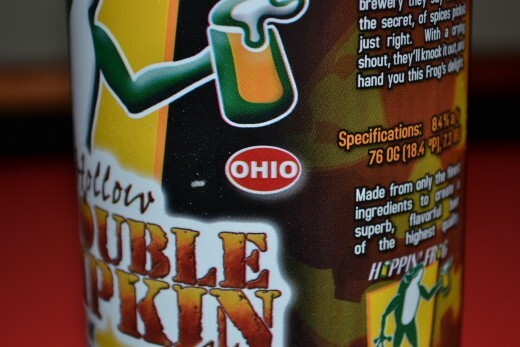 Great Pumpkin Pie aroma! Spicy with nutmeg and cinnamon. My daughter says it has hints of a snickerdoodle. The mouthfeel is medium. It basically taste like it smells. Not overly sweet, light pumpkin, with an overall spicy taste where the cinnamon and nutmeg really come through. I get a lot of cinnamon on the back of my tongue with the aftertaste. Overall a good seasonal Pumpkin ale. Worth the wait in the pumpkin patch, I would drink it again this fall. 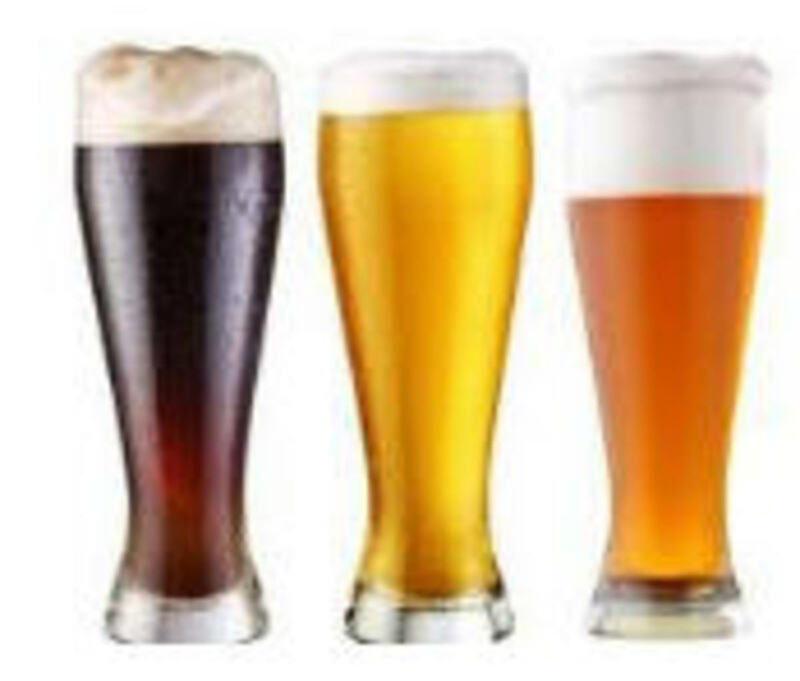 If you like your malt beverages spiced up a little, this is for you. You can try it for yourself for $8.99 a 22 ouncer here in the Great State of Ohio, and as always it bears the official Ohio Seal of Approval! Hahaah! It is a little strong! Yes, light, crisp, and with a cidery taste to it. The Choklat has a little too much kick to it for me, but one of my son's has had one and has another in his fridge. He did say it goes down like chocholate milk, you just have a tough time standing after you drink it. Nice! I need to try Delerium. Cidery right? Thanks! have you tried the Southern Tier Choklat I reviewed? If not, give it a shot! Thanks! 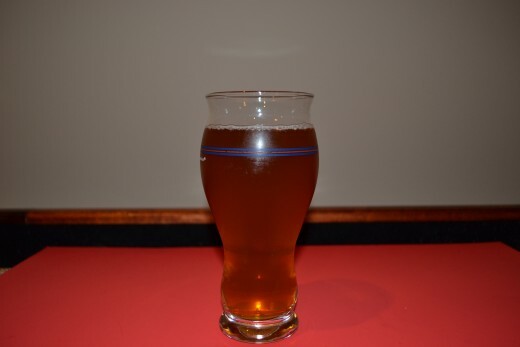 I like pumpkin ales, I'll have to see if I can find it in PA. Tonight, I am enjoying a glass of Delirium Tremens.